Styled with malva pant . 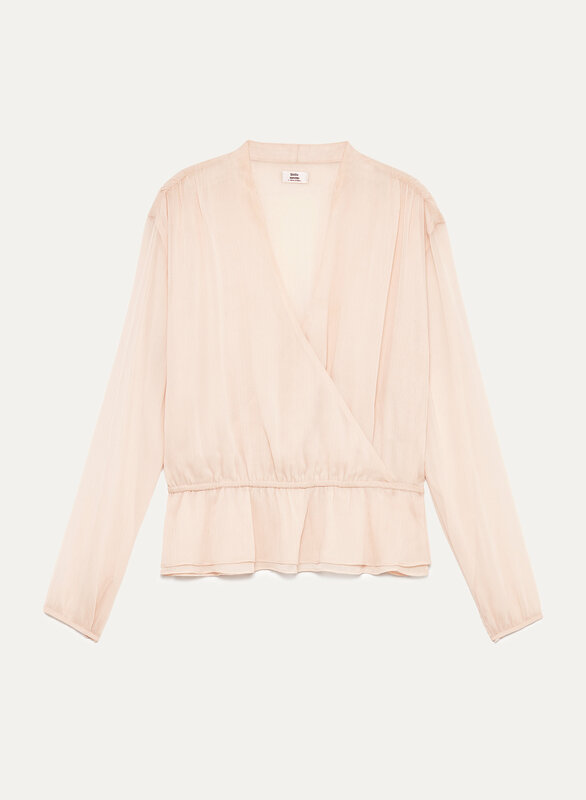 Soften trousers or jeans with this feminine blouse. A wrap front creates creates a flattering neckline while a defined waist feels ladylike.